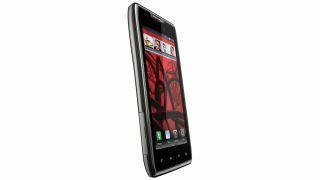 Motorola is finally getting ready to unleash Android 4.0 Ice Cream Sandwich on its Droid Razr line of devices. A series of videos released today from Motorola Japan show off the new OS running on a Droid Razr device. Motorola provided its own skin for Ice Cream Sandwich, replacing most of the smartphone's icons and adding some useful new features. The biggest change is that four shortcuts now appear on the phone's lock screen, with Motorola adding messaging and dialer shortcuts to the standard Android 4.0 camera and unlock options. The standard camera app has also been updated to include a time-lapse option and the ability to take photos while shooting video. It turns out not all Motorola handsets will get the upgrade to Android 4.0. Last week, the company said the new OS will only be available on its top end devices, rolling out first on the Droid Razr and Droid Razr Maxx. The decision to restrict availability to Motorola devices is an interesting one in light of the manufacturer's recent purchase by Google. You might think Google would want its latest OS available on all devices it now owns. However, Motorola appears to have been given a fair amount of flexibility in dealing with its new parent company. Motorola's skin for Ice Cream Sandwich builds on, and deviates from, Google's stock OS. Sadly, there is still no date set for when Ice Cream Sandwich will actually arrive on Droid Razr and Droid Razr Maxx phones, but now at least we know what the OS will look like whenever that happens.